For years I’ve had less than great results when starting my garden from seeds. I’ve tried to do it under the regular lights in my kitchen. I tried it on my potting bench in the shade. And I even tried it under a tree with dappled shade. Sometimes the seedlings get really leggy like when I tried to start them in my kitchen. On my potting bench, I forgot them; and they thirsted for water and died. So I tried starting them in the dappled shade where the irrigation took care of the water problem, but they were less than healthy. I even gave up and did several gardens from transplants. But with transplants, you don’t get exactly what you want, and this is why you should start your vegetable garden from seed. There is so much more variety. Years ago I was on a quest for great tasting tomatoes, but I found that the ones I planted from transplants tasted about the same as the ones I got in my grocery store. Which is to say they tasted grainy and not sweet. I knew better ones existed. When my daughter lived in Romania, I had fabulous tasting tomatoes there. I even thought about smuggling some seeds back to Florida. I knew that better ones were available but only from seeds. 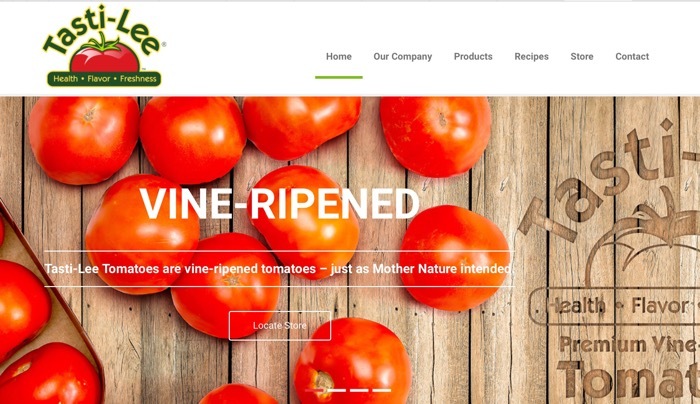 Now, of course, the University of Florida Institute of Food and Agricultural Sciences, also known as IFAS, developed a commercial tomato that actually tastes sweet. It is called the Tasti-Lee tomato, and I buy them at Publix. You can read more about them here. … But I digress. So it was time for me to invest in a grow light system. It is vital to starting your garden from seeds. 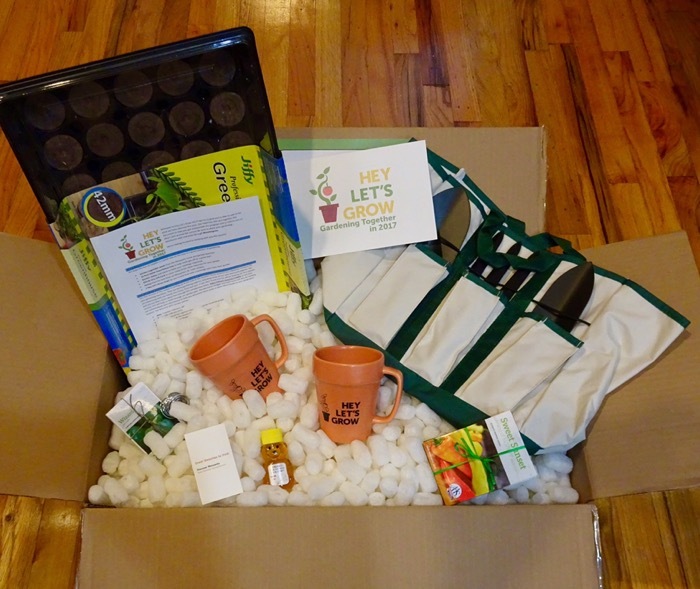 This year Monsanto asked me to do a little field test for them; and subsequently, they sent me some seeds. I wrote about it here. In the post, I explained how I keep the deer out of my garden and how my gardening isn’t always successful. Now, though, I didn’t want to experiment with these Monsanto seeds, so I started researching for a detailed step-by-step guide for how to plant the seeds. I found a very good one at the website for the National Gardening Association. You can find it at this link on my Pinterest board Gardening for Grannies. If you do not have a Pinterest account you can also find it here. My biggest problem was lighting for my seeds, and I’m cheap so I didn’t want to buy an expensive light growing system. With a little research, I discovered that I didn’t have to do so. I ended up making mine, using information found on Pinterest. You can see it here. 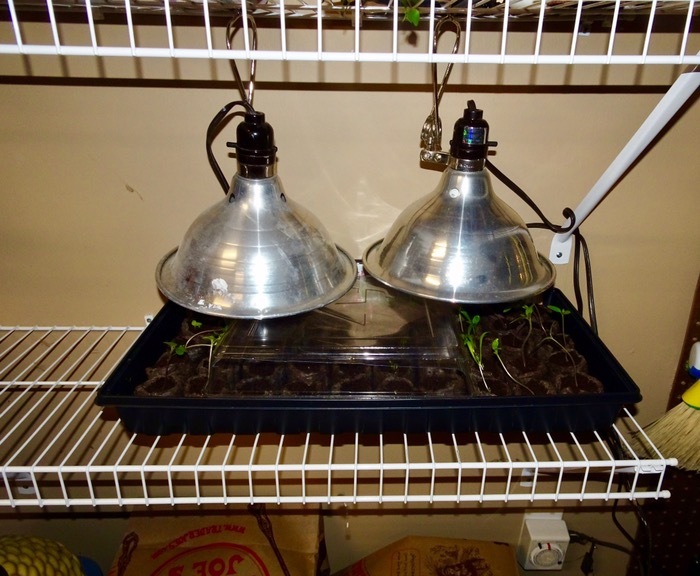 I used their idea and made up my own grow light system using lights I already had, the proper light bulb as explained in a pin I also found on Pinterest (you can see it here,) and existing shelving in my garage. I arranged it, and this is how it worked for me. It cost me nothing, and it worked like a charm. I used a timer that I already had for the Christmas tree to turn the lights on each morning at 8 am and off each evening at midnight. 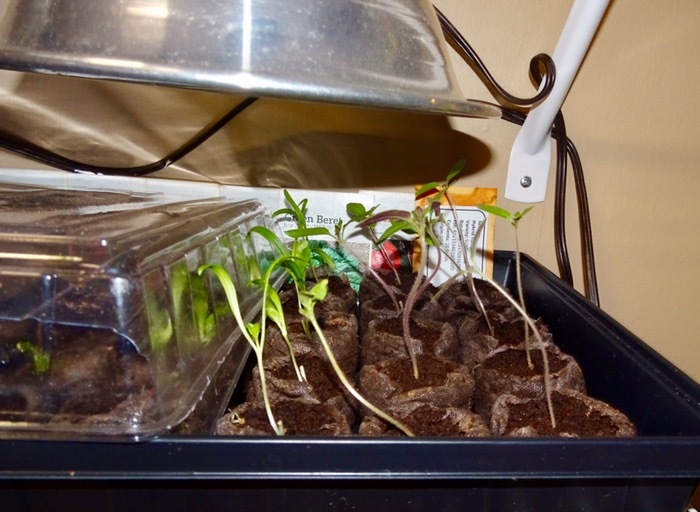 My tomato, spinach, broccoli and cauliflower seedlings are now getting their second leaves so I’m getting close to transplanting. My tomatoes are a little leggy, but nowhere near as bad as in the past. Their legginess wasn’t the fault of the lamps, but my own fault. I left to go off over the weekend, and they weren’t to the stage yet where I needed the lights. It is amazing how fast they grow all of a sudden. I’ll update you then. I’ll update you when I get to the next steps. My mom and grandmother were awesome gardners…I did not follow in their footsteps. It skipped a generation in my family, too. I never saw my mother plant a thing in her life. We are going to get this done this spring! I feel certain about it. I’ve got my fingers crossed!